They both look great! 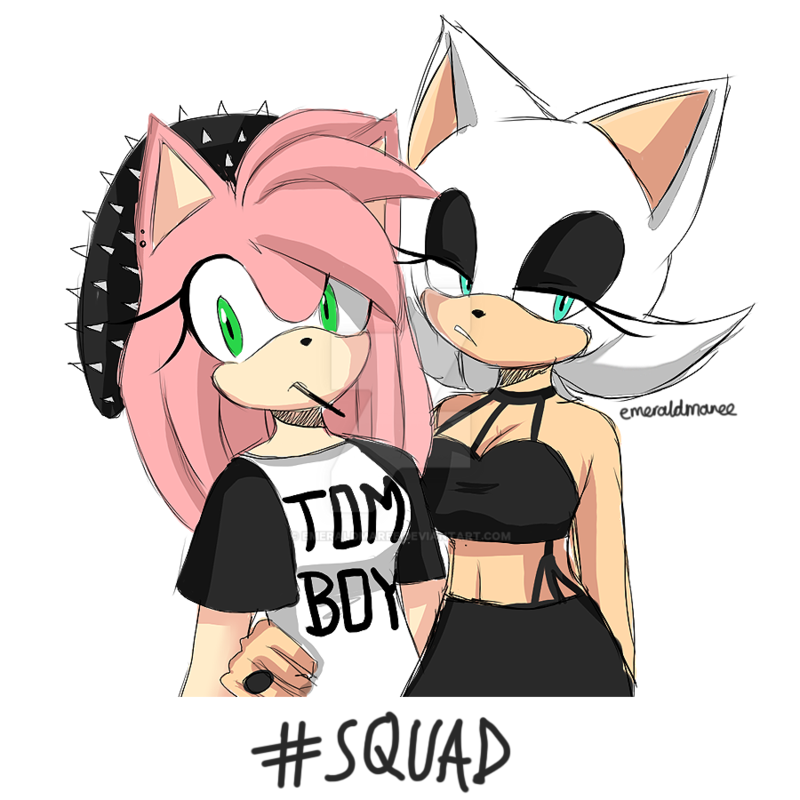 Rouge is simply gorgeous and I especially love Amy's clothes, I've always preferred her as a tomboy. I love amy's spiky beret! Woo! 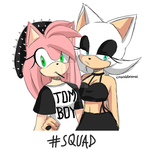 go for the tomboys! it looks so awesome great work ! Oh. And i do hope to see more art from you, once your exams are over. Hey, Emerald, you did a truly great work with that: I like it for sure! This is quite fabulous. You never cease to impress. Aw thank you so much im glad you like the drawing!! 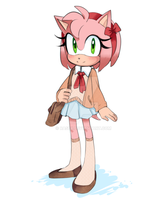 "Ay ye are very welcome,and yes I do" :3 "Another great Sonic artist,if only I put money online.."
And now to draw all the fanart of this Senpai~! That is really cool! Well done!